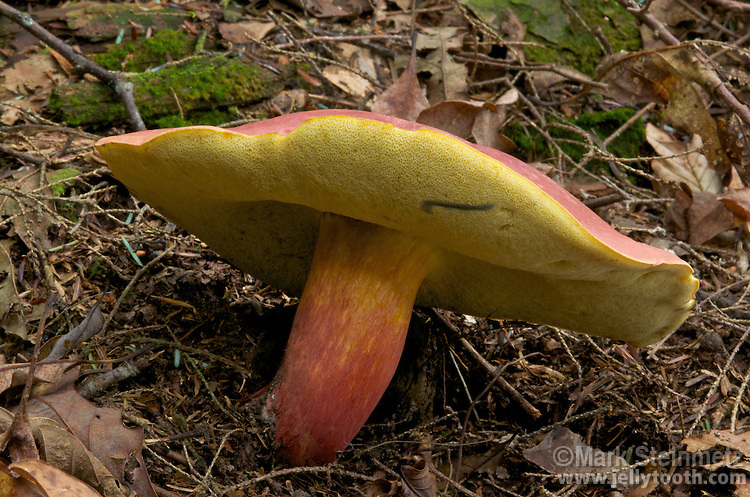 Bolete (Boletus sensibilis). Both the bright yellow pore surface and cap flesh of this species immediately stains blue when cut or bruised. Hocking State Forest, Ohio, USA.